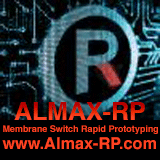 Your Total Resource for Membrane Switches, Membrane Keypads, Graphic Overlays and Capacitive and Resistive systems! 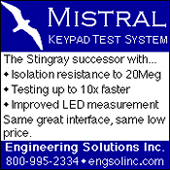 Your Solution for Designed and Manufactured Membrane Switches, Membrane Keypads, Graphic Overlays and Capacitive and Resistive systems! By putting to good use its many years of experience in the custom design and manufacturing of electronic interfaces, ClickTouch America has developed an unrivalled range of products. With ClickTouch technology making it possible to create incomparable membrane keypads and graphic overlays, in addition to our fast-developing capacitive systems (CTS) and resistive systems (CFS), we’re confident of our ability to surpass our clients’ expectations with innovative, user-friendly, reliable and cost-effective products. Thanks to the license granted to us in 2003 by our Belgian partner, ClickTouch NV, we take pride in stating that our products now enjoy an enviable international reputation. 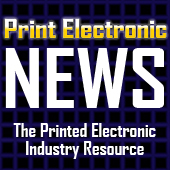 ClickTouch technology, established today on every continent, is now used in a wide variety of applications, from emergency vehicles to racing cars, from consumer goods to telecommunications, and from medical equipment to industrial controls. 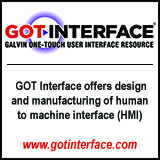 Do you have any projects for man-machine interfaces that require special attention? 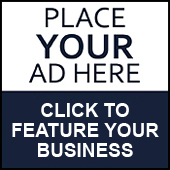 Don’t hesitate, ClickTouch America is here to ensure your success! Unique characteristics of ClickTouch technology. 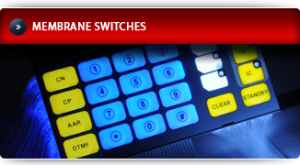 While many manufacturing companies in our field fail to achieve success in the membrane-keypad market, the ClickTouch team has already set the standard in control panels. 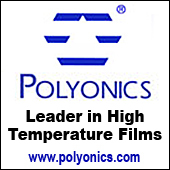 Of course, it’s all due to our thermoforming process! Durability, Tactile response adapted to your needs, Resistance to changes in temperature, Long key-travel, No moving metal parts, Superior wear resistance, Backlit keys without compromising tactile response, Graphic diversity. 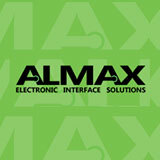 Graphic overlays embossed with ClickTouch technology.- Same formula, same success! Any good chef will tell you: only quality ingredients combined with first-rate skills will produce the very best results. At ClickTouch America, we are convinced that with our expertise, our capacity to innovate, our flexibility and especially with our unique ClickTouch technology, we have all we need to surpass your highest expectations. Now that the table is set, enjoy! 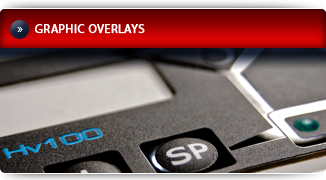 Specific advantages of our Graphic overlays. Ease of assembly: Laminated directly onto a plastic or metal surface, our overlays are ideal when combined with microswitch technology. Only one step is needed: remove the adhesive protector from the back of the overlay, and you’re done! Capacitive and Resistive systems – Fresh solutions. Improved and completely sound. 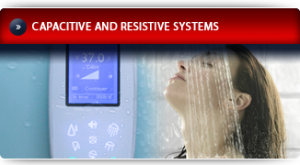 Be up to date with the Capacitive System (CTS). Ask us about this outstanding new product! More discreet but just as appealing, discover the impressive Resistive System (CFS)!